This is a beautiful room with wood paneling. The seating is in "classroom style" here (with tables in a square). The ODF Plugfest takes place here on Wednesday 17/Oct/2012. 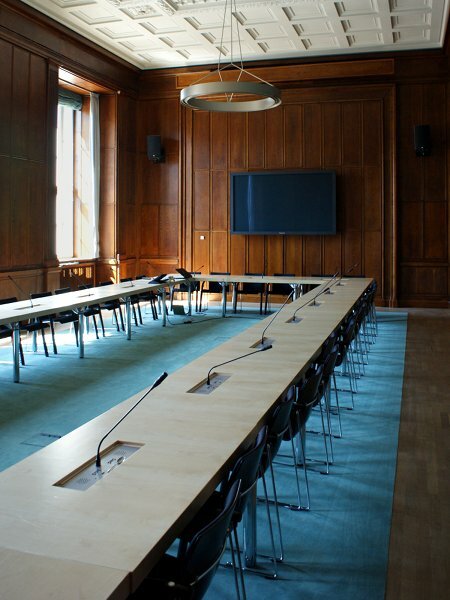 On the forenoon of Thursday 18/Oct/2012, this room is used for meetings that are not part of the conference itself.